Our Eyes Eat First: Happy Un-birthday! Wow what a great idea,those look like pure yumness! Your sister is so lucky you went through all the trouble to make these for her! (Those babies are time intesive). 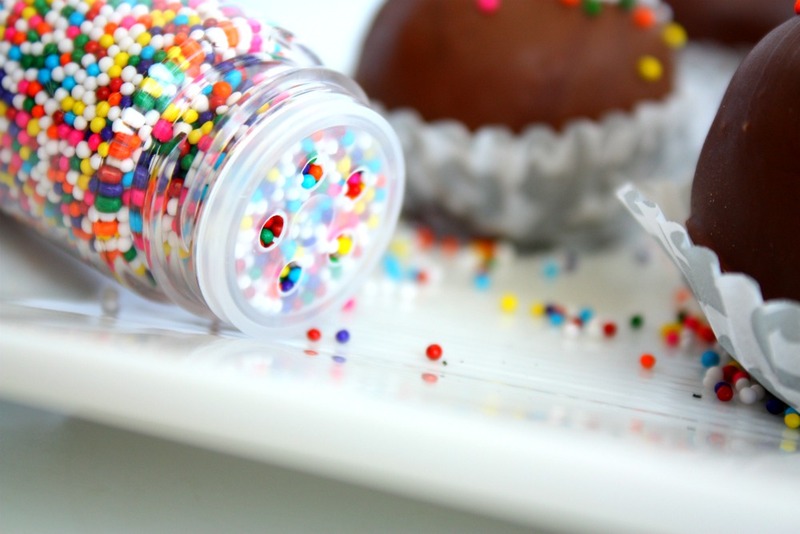 I love the look of the simple rainbow sprinkles they are so cute! I love that you celebrated your sisters birthday even though she wasn't there :) The truffles look delicious! The Alchemist is one of my favourite books, I'll have to read it again soon. I absolutely love birthdays! Family, friends, presents and cake...what's not to love. 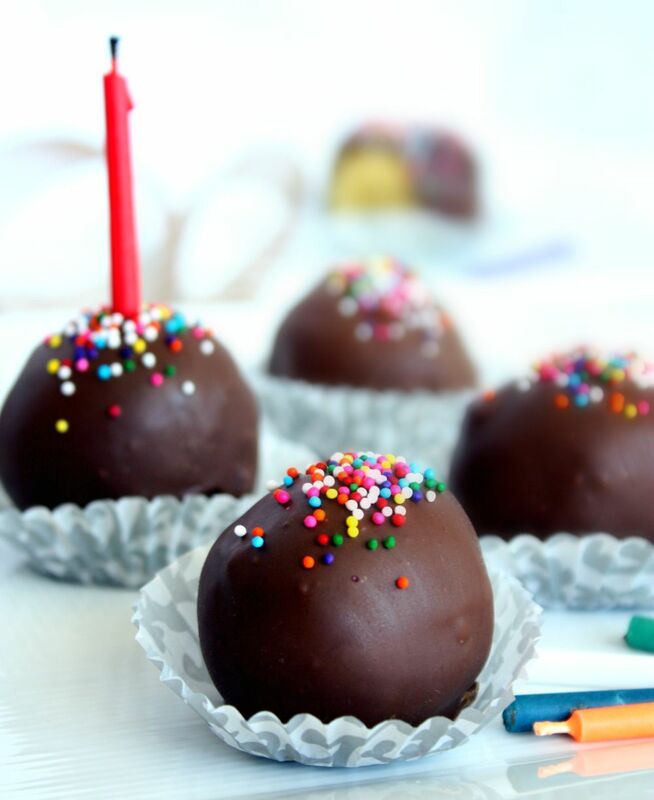 I think it's so sweet that you made these cake balls even though your sister is far away. I've thought about making cakes for my family even though they are also living in another state. Maybe I will in honor of their birthdays next time. Thanks for sharing! Beautiful Un-birthday truffles...Love the captures! How cute! I love anything mini, and then to top it off and have it be cake... well, yum! 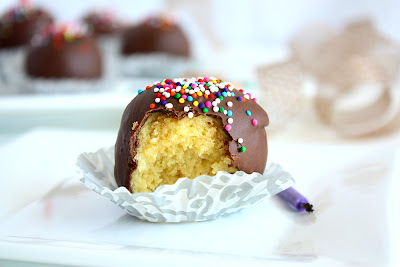 Cute looking cake truffles..the pictures are superb!! Wonderful, creative birthday treats. I adore the candle in the cake truffle. 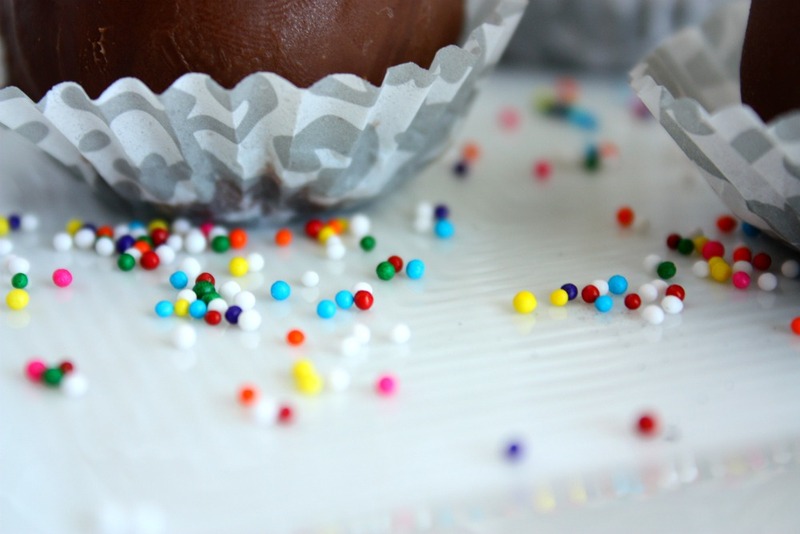 I love birthdays and your truffle are perfect for such an even. happy birthday to your Sister. These are adorable! 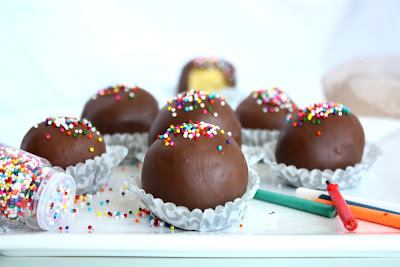 I've always wanted to make cake truffles and with those rainbow sprinkles, they are just about the cutest ones I've ever seen! What a great idea. So perfect for any occasion! Can't wait to try them! Am so into cake balls or cake pops now. So melt-in-your-mouth comfort food. Great happy little treats. Am so into these tiny treats aka cake balls or cake pops if put on sticks. They melt in your mouth...Yum. These look incredible! I agree, these gorgeous truffles are great for a birthday or an un-birthday!! Heyyy! 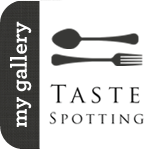 wowwww your site is absolutely stunning and awesome recipes~are you a professional? My family would be all over these...and I admire their beauty! Heavenly! I wish I had some right now!